Copyright В© 2012 ASUSTek Computers, Inc. All Rights Reserved. backup purposes, without the express written permission of ASUS Telecom (вЂњASUSвЂќ). 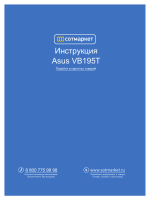 modification of alteration is authorized in writing by ASUS; or (2) the serial number of the product is defaced or missing. 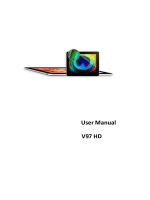 THAT MAY APPEAR IN THIS MANUAL, INCLUDING THE PRODUCTS AND SOFTWARE DESCRIBED IN IT. respective companies, and are used only for identification or explanation and to the ownersвЂ™ benefit, without intent to infringe. ASUS PadFone, PadFone Station, and PadFone Station Dock are purchased separately. *The power plug varies with country or region. Contact your retailer if any of the items is damaged or missing. **Availability varies with country or region. that Android 4.0 has to offer. Important Notices to prevent injury or damage to your device. card, installing the battery, and charging your device. 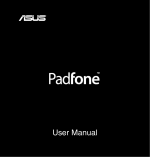 The first time you turn on your PadFone, youвЂ™ll see the Welcome screen. instructions to set up your PadFone. You can skip some of the steps and set them up later. After you finish setting up your PadFone, the Home Screen appears. return to a previous page, or launch a recent app. swipe it to the left or right. keyboard, and perform other useful gestures on the PadFone touchscreen. The following table describes more useful gestures. selected apps, including Maps, Gallery, and Browser. your finger on the screen to move the icon or item. Touch and hold an item until an action occurs. Quickly move your finger across the screen in one sweeping motion. Quickly tap twice on the screen to zoom. to go to the All apps screen. 2. Touch the keys to key in the number you wish to call. 1. Install the SIM card into your PadFone. to launch the People app. touch OK. When prompted, touch OK to confirm. You can type text using the onscreen keyboard. touch where you need to type to open the onscreen keyboard. that you need. Touch a suggestion to use it. input. You must be connected to the Internet when using this feature. 1. Touch text field where you want to type text. beside the text field, touch it. method, touch Google voice typing. Google voice typing transcribes the text you spoke and displays it on the text field. Say вЂњperiodвЂќ, вЂњcommaвЂќ, вЂњquestion markвЂќ, or вЂњexclamation pointвЂќ to type these punctuation marks. to delete the underlined text. you may have to configure your PadFone to access these networks. For more details about ASUS Quick Settings, refer to the section Managing notifications in Chapter 4. If your PadFone does not connect to a network, contact your mobile network carrier for assistance. Refer to your PadFone Quick Start Guide for instructions on how to install a SIM card. set up; others are open and you can easily connect to them. Turn OFF Wi-Fi when youвЂ™re not using it to help save battery power. indicated with a lock icon. prompted to key in a Password or key in other credentials. If your PadFone finds a network that you have connected to previously, it automatically connects to it. many products, such as smartphones, computers, tablet devices, and headsets. Bluetooth is very useful when transferring data between two or more devices that are near each other. The first time you connect to a Bluetooth device, you must pair it with your PadFone. Turn OFF Bluetooth in your PadFone when youвЂ™re not using it to help save battery power. devices stay paired unless you unpair them. turn its Bluetooth ON and how to set it to discoverable. documentation that came with the device. manually, after it is back in range. 2. In the list of PAIRED DEVICES, touch the name of the paired device. 2. Touch Bluetooth to display the Bluetooth settings. Touch Unpair to unpair the device. Touch Rename to rename the Bluetooth device. Touch any of the listed profiles to enable or disable profile. Install your PadFone into your PadFone Station to extend its battery life and turn it into a tablet device. Important Notices bundled with your PadFone to prevent injury or damage to your device. The image used is for reference only and may look different on your PadFone Station. The Home Screen may update and change with Android OS. To unlock your device, touch and drag the lock icon out of the circle to the open locked icon. To enter into Camera mode, touch and drag the lock icon out of the circle to the camera icon. Station Dock, and PadFone Stylus Headset. The screen view rotates automatically when you hold the tablet horizontally to vertically, and vice versa. To enable/ disable Auto-rotate screen, go to Settings > Display. вЂў Single-tapping the touch panel allows you to select a desired item or launch an app. вЂў Single-tapping in the File Manager allows you to open, select, copy, cut, delete, or edit the files. вЂў Touch and hold an application to drag and drop it or its shortcut to another Home Screen page. Settings > ASUS customized setting. вЂў Touch and hold a file in the Gallery to enter selection mode. Spread apart or bring two fingers together to zoom in or out an image in Gallery, Maps, or Places. pages in MyLibrary and SuperNote. browser bar to search the web and your tablet, or to launch apps. or reduce the range of the selected text. share, select, find, or search on the web. battery life and turn it into a traditional notebook. PadFone Station with the PadFone Station Dock. pack, always use the bundled power adapter. Green: Battery power is between 95% and 100%. Orange: Battery power is less than 95%. Orange Blinking: Battery power is less than 10%. Orange Blinking Quickly: Battery power is less than 3%. Ensure to connect the power charger when the indicator starts blinking. keyboards, pointing devices, flash disk drive and hard disk drives. from and write to flash memory cards. Move the latch to the left to release the PadFone Station from the PadFone Station Dock. to reliably enter the characters, and palm rest for both hands. NOTE: The keyboard varies with country or region. some must be used with the function key. The locations of the special keys vary with models but the functions remain the same. Toggles the internal wireless LAN ON or OFF. Toggles the internal Bluetooth ON or OFF. Toggles the touchpad ON or OFF. Returns to the previous track when playing music. or pauses the current music playing. Station and put it into sleep mode. and end in a document or web page. You can seamlessly use applications between your PadFone and PadFone Station. PadFone and PadFone Station are purchased separately. вЂў Touch an icon to launch an app. вЂў Swipe the screen to display more apps. вЂў Drag an app icon into the Home Screen. вЂў See apps compatible with the PadFone Station. вЂў Get more apps from the Play Store. to compose and send a message. to launch the browser and surf the web. Enable the ASUS Quick Setting app to see more and do more from your Notifications area. customized setting and enable Use ASUS Quick Setting. displayed on the top left of your screen - everytime a new notification arrives. To see your notifications, swipe your finger down from the top of the screen. Performance mode: Maximizes the systemвЂ™s performance. Touch to enable or disable the auto-rotate screen feature. Touch to enable or disable the Wi-Fi connection. Touch to enable or disable the Bluetooth connection. Touch to enable or disable the sound. Touch to enable or disable the auto-sync feature. Touch to enable or disable the GPS function. Touch to enable or disable the airplane mode. it immediately or touch the arrow beside it to add the term into the search field. then when prompted to Speak now, speak clearly the item youвЂ™re searching. Use the camera app, taking pictures and videos with your PadFone is fun and easy. one 8 megapixel camera at the rear. where you can pan across a subject to create a single picture. You can view your pictures and videos in the Gallery app. touch + and select a file from the Gallery. to delete the selected event. remotely control your computer, and access asus@vibe, ASUS one-stop digital entertainment site. 3. Select a page color and line style, then touch OK.
4. Touch the newly-created notebook to open and write on the page. The following screen describes the SuperNote screen features. regardless of page lines. The app automatically adjusts the scribbled note to fit into the page lines. keyboard to key in your notes. to select a color and stroke weight to customize strokes. adjusts the scribbled note to fit into the page lines. and select Baseline for penmanship guidelines, if necessary. other text and picture file. Insert a new page in the notebook or delete to discard unwanted pages. note pages and avoid entering unnecessary marks on the pages. and select the Doodle mode to create some sketches or drawings. to select the stroke weight and color. to move, scale, rotate, delete, or edit the selected area. SuperNote automatically saves and sorts the files by date in /sdcard/supernote. You can create shortcuts for your favorite apps on your PadFone Home Screen. and place the app on the Home Screen. Screen page. Drag the app to App info to display its detailed information. 1. Touch and hold an app on your Home Screen until X Remove appears. 2. Drag the app to X Remove to remove it from the Home Screen. Create folders to organize your applications and shortcuts on your PadFone Station Home Screen. app and a folder will appear. 2. Touch the new folder and tap Unnamed Folder to rename the folder. manage your apps from the Recent Apps list. 1. Touch the Recent Apps icon at the lower left corner of the Home Screen. 2. Touch WIDGETS to display the widgets menu. downward to show the complete list of tasks. the connected external storage devices. 2. Go to All Apps screen, touch File Manager, then go to My Storage. list, and touch to select an item. 4. Touch the Return folder icon to return to the root directory of My Storage. 2. Touch the folder icon to display its contents. upper right corner of they File Manager screen. You can also tick the file and drag/drop it to your desired destination folder. Google account, please create one. 4. Type your Email and Password to Sign in if you already have an account. Download the latest Adobe Flash Player version 11.1.112.60 for ICS devices. You cannot restore the deleted applications, but you can login with the same ID and download them again. Some applications are free and some might charge you through a credit card. There are two ways to go to the Settings screen. Touch Settings to display the settings menu. Touch the notification area on the bottom right corner to launch the ASUS Quick Settings panel. Touch any of the following icons to enable or disable its assigned function. Balanced mode [Default mode]: Balances the systemвЂ™s performance and power usage. Performance mode: Maximizes the systemвЂ™s performance but consumes more battery power. Swipe a notification to the right or to the left to remove item from the list. displays all the audio files stored in your PadFone Station and connected external storage devices. You can shuffle and play all audio files randomly or flip to select an album for your listening pleasure. Use the buttons on the top to conveniently sort or search your audio files. and displays all the images and video files stored in your PadFone. From the Gallery, you can display images in a slideshow or touch to select for image or video files. album, by location, by time, by people, or by tags. Touch and hold an album in the Gallery until the Tool bar on top appears. Using the Tool bar options, you can upload, delete, or share selected albums online. You cannot restore a deleted file. displays the Choose images menu box. 4. Choose the album or image that you wish to place as a widget on the Home Screen. Touch Camera from the All apps screen to take pictures, record videos, or create panoramic images. You can use the front camera or the back camera to take pictures or record videos. The image and video files are saved to Gallery. Email allows you to add several e-mail accounts and conveniently browse and manage your e-mails. to launch the email app. address and Password, then touch Next. display the preferences for this account. You can include all your e-mail accounts in Email. Gmail (Google mail) allows you to access your Gmail account, receive, and compose e-mails. 1. Touch Gmail from the All apps screen. Email and Password, then touch Sign in. Touch New if you do not own a Google Account. to sign in to your Gmail. downloaded e-books into different bookshelves and genres. to go to the All apps screen, then touch MyLibrary. Log into asus@vibe to download more e-books. MyLibrary supports e-books in ePub, PDF and TXT format. 1. Touch to select an e-book on the bookshelf. 2. Touch and hold the screen to show the tool bar on the top. 3. Flip pages like a real book or move the page scroll at the bottom. text-to-speech function for the selected text, or simply copy the word. top to get directions or create your own maps. 2. In the All apps screen, touch PolarisВ® Office. 3. Touch My Folders on the upper left and select the file. вЂў Touch Document to start the word processor to edit documents. вЂў Touch Sheet to start the spreadsheet to perform calculation and manage information. вЂў Touch Slide to start the application to create and share presentations. вЂў Touch Accounts to add a new account. 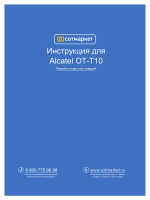 PolarisВ® Office 3.0 currently saves files into .doc/ .xls/ .ppt formats only. 2. Select a desired service to add. 3. Key in your e-mail account and password and touch OK to add the account. file extensions, Pivot lock, Custom zoom, Accounts, and Update. Station and a DLNA device such as your computer, TV, or speakers. MyNet works with Microsoft Media Player 11 or later version only. same wireless network. Otherwise, MyNet will not function. MyNet will not work if the devices are connected via 3G network. options to configure, if necessary. 3. On the Server list, select the source device on the left panel to view the contents. вЂў Select a file and touch Play to on the bottom right to start playing on the target device. вЂў Touch and hold a file to upload or download it to and from the connecting devices. connected devices to share files. Tap the plus sign (+) to create new lists. PadFone Station. You can also select the location of the file you want to share. 1. From the All apps screen, touch MyCloud. computer. Click Next to continue. 1. Touch I have an account to sign in or touch Create an account to create your free account. My Desktop allows you to remotely control your computer from your PadFone Station. 3. Click Restart Now to reboot your computer. 7. Create a password and click Next. 8. Click Enjoy Now to continue. 2. Touch the screen to scan the available devices. 3. Touch the plus sign (+) on the upper right corner to add your computerвЂ™s information. 4. Touch OK to continue. 5. Manually enter your computerвЂ™s IP address and other information, then touch Done. The devices must be connected to the same wireless network while enabling My Desktop. My Desktop will not work if the devices are connected via 3G network. 1. 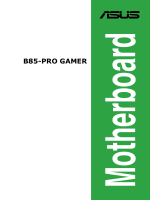 Download and activate Splashtop Streamer from the ASUS support site. 2. Go to Network in Splashtop Remote Streamer. 3. Key in your Google credentials in the Email and Password fields then click Sign in. radio stations and stream live TV anytime and anywhere. вЂў Log in with your ASUS Access account to enjoy the multimedia content in asus@vibe. The contents on asus@vibe may vary with country or region. 1. From the All apps screen, touch asus@vibe. 2. Login by using your account. 3. Scroll and select your desired disc or radio station. App Locker allows you to password-protect your apps. 1. From the All apps screen, touch on App Locker . 2. Set up your password. 3. Tick the apps you would like to lock. Locked apps will have lock icons on the Home Screen. You will be asked for your password everytime you access the locked apps. 4. Touch the return path on the upper left for an overall view of the books and note pages. social networks, or online gallery. 1. Choose Scribble mode or Keyboard mode to enter your notes. 2. In Scribble mode, select Color and Stroke weight to customize strokes. 4. Touch the Baseline function for penmanship guidelines, if necessary. paintbook, picture from gallery, voice, video, or other text and picture file. 6. Insert a new page in the notebook or delete to discard unwanted pages. avoid entering unnecessary marks on the pages. 8. Touch Undo to delete changes. Touch Redo to keep the changes. Touch Brush to select the stroke type. Touch Stroke to select the stroke weight. Touch Color to select a color from the color pallete. Touch Select to move, scale, rotate, delete, or edit the selected area. Touch Delete to delete the selected event. on your Home Screen then touch the Widgets tab at the top of screen. вЂў Drag a widget to another screen. вЂў Swipe left or right to move between screens and view more widgets. frees more cache space for your PadFone. To use Task Manager, swipe your screen to the right. do this to create additional room for more apps. lifting your finger, drag the app into X Remove. to go to the All apps screen, then touch Widgets. 3. Touch and hold ASUS Battery to display the ASUS Battery app. also be a warning sound to notify you when the battery is running low. incoming calls to your PadFone. PadFone Station with the PadFone Stylus Headset. Refer to the table on the next page for the descriptions of the LED colors. We strongly recommend that you charge the battery fully before turning your device on. prevent overheating and damage to the cables, adapter, or device. voltage through the micro-USB cable is DC 5V, 2A. Press the multi-function button for about 3 seconds until the LED turns red. that came with your Bluetooth mobile device. a) Press and hold the multi-function button for 3 seconds to turn your PadFone Stylus Headset off. again and enter the pairing mode. touch Stylus Headset and follow the onscreen instructions to complete the pairing process. with your Bluetooth mobile device. 1. Ensure that the devices are paired and connected. on the Home Screen or go to the All apps screen. 3. From your contacts list, touch the number you wish to call. 5. Use your PadFone Stylus Headset to talk to the person on the other line. your PadFone Station to end the call. the LED flashes blue to indicate that you have an incoming call. 3. Talk on your PadFone Stylus Headset as you would on your PadFone or mobile device. indicate that the call has ended. For clearer audio, keep the pen clip oriented towards the PadFone Station. Stylus Headset to avoid any signal interference.